Sip a pumpkin-y drink in the pumpkin-y town or book a full-on stay-over package, complete with a Half Moon Bay Pumpkin Facial. Sip a pumpkin-y drink in the pumpkin-y town, at The Ritz-Carlton, Half Moon Bay. 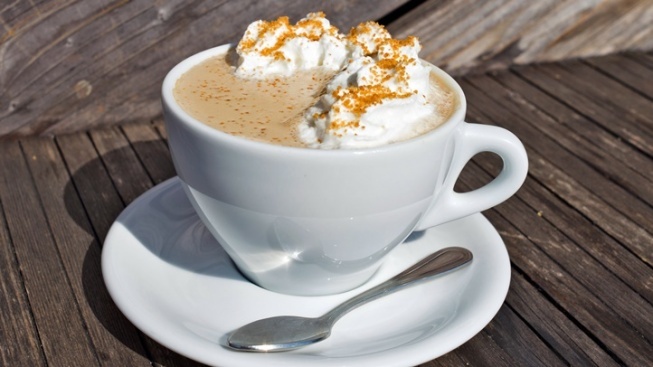 ULTIMATE PUMPKIN SPICE LATTE, from the Santa Cruz Coffee Company, to try. It will be available at the resort on the first day of autumn, and it will include Verve coffee as well as "sweet pumpkin flavors from farm-fresh Half Moon Bay pumpkins" as well as milk and spices. A good-to-know asterisk? You don't need to be a guest of the resort to stop by and purchase this pumpkin-licious libation. But the pumpkin-based good times keep rollin' at The Ritz-Carlton via its Pumpkin Experience Package. An overnight stay, a Pumpkin Facial, and a pumpkin pastry when you arrive are all woven through this fall-fun getaway. Well, make that a pre-fall getaway; it's available as of Tuesday, Sept. 5. And the final day of the package? It's quite pumpkin-famous: Halloween. So book soon, gourd-lovin' travelers, before the Half Moon Bay pumpkins turn into jack o'lanterns.